PEORIA, Ariz. (Oct. 11, 2012) –The Antigua Group, Inc., one of the nation’s leading designers and marketers of genuine golf and sports apparel and makers of Slazenger and Antigua apparel, announced today a two-year extension of Antigua’s partnership as the official apparel provider of the Golf Channel Am Tour, the world’s largest amateur golf tour, through 2014. The Antigua brand has been woven into all facets of the Golf Channel Am Tour since 2010, including activation at the Am Tour’s local championships, regional championships and national championships. All Am Tour members receive Antigua apparel as part of their membership welcome packs, and Antigua apparel is available for purchase at the Am Tour online store at www.gcamtour.com. “We are excited to continue our partnership with Antigua for the Golf Channel Am Tour, one of the top apparel brands in the golf industry,” said Jeff Foster, senior vice president for Golf Channel New Media Ventures. Each year, thousands of amateur golfers compete at a wide range of elite courses through the Golf Channel Am Tour, including PGA West, TPC Sawgrass, PGA National, Barton Creek, Innisbrook and PGA National to name a few. Currently, the Tour conducts more than 800 local championships nationwide, culminating annually with the National Championships. The 2012 National Championships, took place at TPC Sawgrass Sept. 4-13, featuring more than 1,100 participants from throughout North America. Headquartered in Peoria, Arizona, The Antigua Group, through its license sports division, holds license agreements with National Football League (NFL), Major League Baseball (MLB), Minor League Baseball (MiLB), National Hockey League (NHL) and the National Basketball Association (NBA), along with numerous American universities and colleges for men’s, women’s and children’s apparel, headwear and outerwear. Antigua additionally designs, produces and supplies product for corporate America and specialty retail managed under its corporate division. Its golf division also holds license agreements with the PGA TOUR, LPGA and the PGA of America. 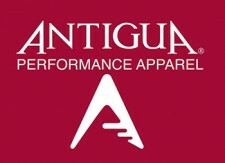 www.antigua.com and shop.antigua.com.